Common rail injector tester, also called diesel fuel injector tester, injector nozzle tester, injector test bench, applys for all types of diesel injector testing : Bosch denso delphi simens caterpillar common rail injector test and generating code, test the injector responding time, if you have an diesel injector repair workshop,or you want to setup an diesel injector rebuilt working site, this injector tester is a must. 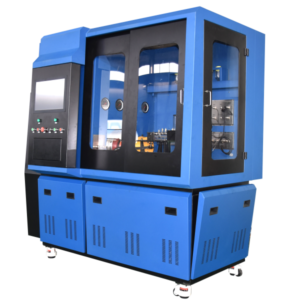 There are types of similar injector testing machine in Chinese market, but mostly can only generate code for only Bosch injectors, this this diesel common rail injector tester equipment can generate code for all brand injectors, also this injector test bench can check the injector responding time. Injector test: measure the injection volume under full-loaded(VL)idling(LL),pre-injection(VE),Emmision test (EM)and backflow volume. Check the sealing performance of the common rail injector. Clean the injector before testing. User can add and edit the data by themselves. Save the testing report & customer information. 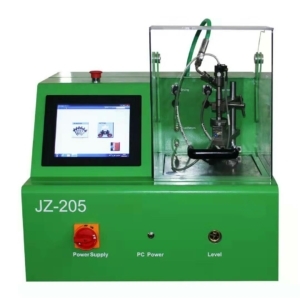 Electronic quantity measurement of this diesel common rail injector tester. 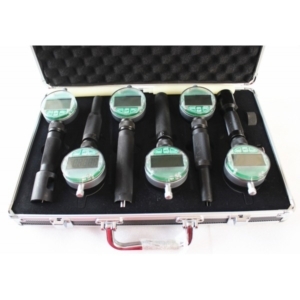 Germany high precision flow sensor . 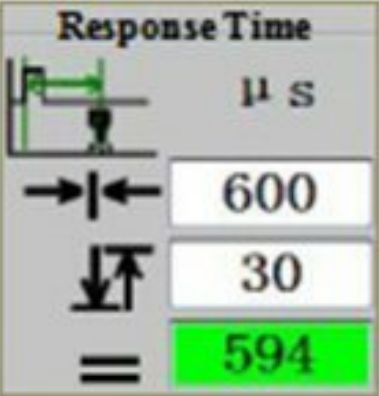 Rail pressure is controlled accurately by DRV/PCV. 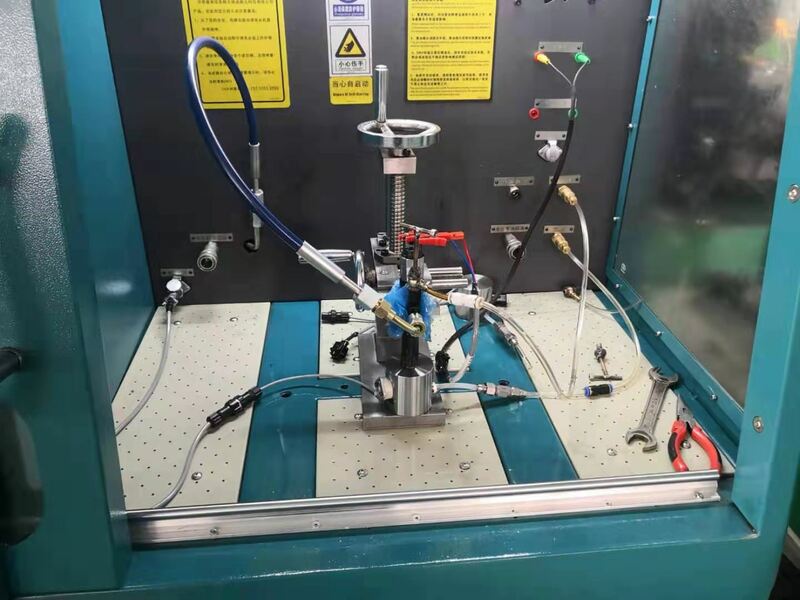 Cooling system:Condensers controlling temperature on the fuel injector tester. Genuine Bosch components: CP3 pump. 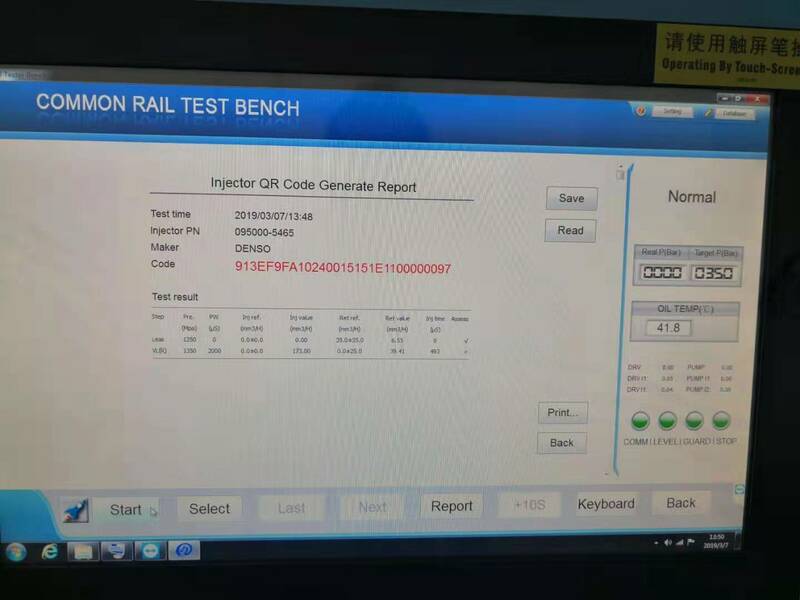 Except checking injectors, check the common rail tester machine’ performance:ZME,connection, pressure sensor, temperature sensor. 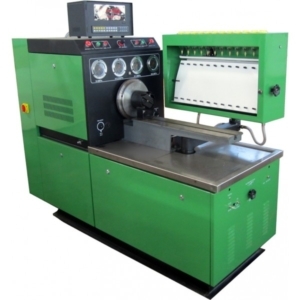 Intelligent system, computer can judge and tell the defaulty part of this diesel fuel common rail inector tester. 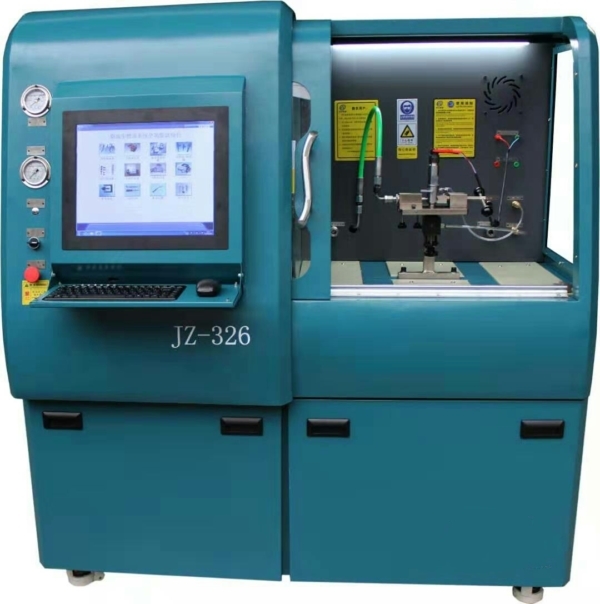 More than 1800 test plans for Bosch Delphi Denso Simens common rail injectors. Customer can edit any data by himself.